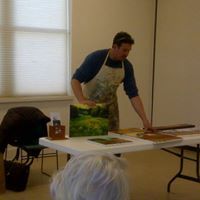 Holland Friends of Art was founded in 1963 through the efforts of a group of artists, patrons, and the City of Holland. 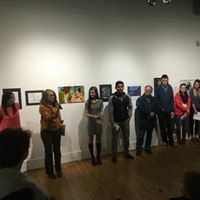 The goal was to initiate an annual art show and to stimulate community awareness of the creative talents in the Holland area. We have grown over the years to be a well-respected supporter of the visual arts within West Michigan. 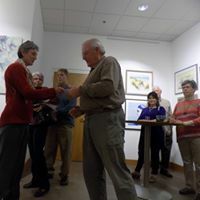 Membership is open to all persons with an appreciation for art. 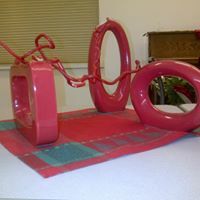 HFA welcomes the artist and the crafts-person regardless of skill level. Whether beginner, amateur, professional, teacher or student, we embrace those who support the growth of art appreciation and education within our community. 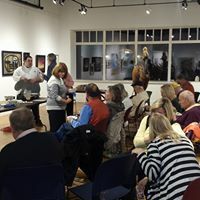 Regular membership meetings foster art appreciation through lectures and demonstrations and come complete with fellowship, lively discussion, and refreshments. ​ Periodically, mini-shows are held and friendly exchanges of ideas and critiques occur. Find us on Facebook for event information. The Holland Friends of Art supports and collaborates with the Holland Area Arts Council on multiple fronts. 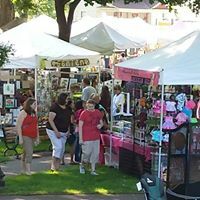 We have made our home within the walls of the arts council building at 150 East 8th Street in downtown Holland, Michigan. To peruse the list of events/shows that HFA sponsors,please,click on PDF file,below.